The residential programme at Pokesdown Community Primary School has been created and adapted over time in order to ensure that during their time at school, pupils have the opportunity to experience a range of residential opportunities, which enhance their learning back inside the classroom. Our catchment area encompasses children from wide and diverse backgrounds and through affordable residentials we aim to enable children to build friendships and enhance existing relationships through the shared experience. Pokesdown Primary School is a large primary school in Bournemouth, with 447 children on roll. 27% of the learners are from minority ethnic groups, 8% of these are from the Polish community and 17.4% do not have English as their first language. There is a wide range of extra curricula clubs available to children from Years 1 to 6 spanning sport, art, drama, music, dance, a gardening club, writing club, lego and a homework club. The school relishes its ‘community’ status and endeavours to continually establish and maintain links throughout the local community. Pokesdown Primary School is a Learning Away Champion School. In this case study, which describes their progressive residential programme as a whole, staff at the school explain how they provide brilliant residential experiences for all their key stage 2 pupils. The benefits are clear to see. In terms of relationships, the opportunity for children to experience something new together unites them in a way that the comfort and safety of school just cannot do. Children who have known each other since they started school in Reception, find out things about each other that they never knew before. They develop tolerance, resilience and empathy towards others. Back in the classroom teachers report that this contributes to a more harmonious classroom environment. Academically, the first hand experiences had by the children during residentials enable them to put their learning into a real context. The trips enhance the outcomes of each focused topic. The school has spent time creating and developing their own creative curriculum. Topics are designed to meet the needs of the National Curriculum, with each topic having a specific focus on three main subject areas. Residentials are planned alongside topics, exploring themes and enhancing learning opportunities across each curriculum areas where relevant. 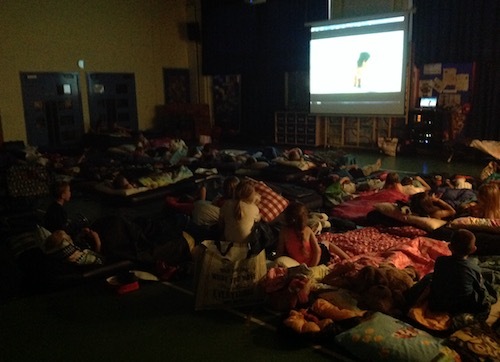 The residential experiences provided to children at Pokesdown begin with a sleepover in the school hall in Year 3. This is a single night experience where the children have the opportunity to stay away from home in a setting that is familiar to them. In Year 4 the children go further afield on a coach to Plymouth, again for a single night experience. 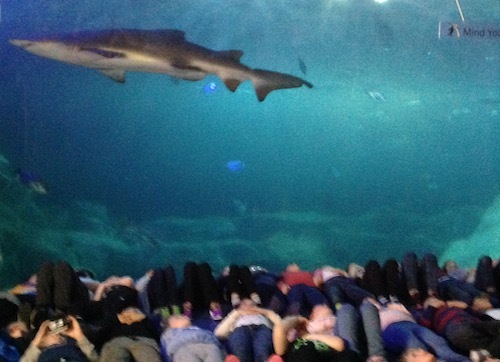 This time the children are in an unfamiliar, yet exciting and thought-provoking setting at Plymouth Marine Aquarium. In Year 5 the children venture further still, taking the ferry across to Kingswood on the Isle of Wight. They stay together in dormitory style rooms for a full week. The children are given the independence to explore the wider site at Kingswood, develop time keeping responsibilities, maintaintheir personal cleanliness and their shared areas and push themselves with activities that challenge their resilience. In Year 6 the children go to London. They share rooms in a hotel, sharing their space with members of the public in a busy city. They eat in cafes and restaurants alongside members of the public; ordering their own food, using and budgeting with their own money. The children guide the exploration of the city; using different method of public transport and taking into account the individual needs and interests of the group as a whole. The residential opportunities provided to children at Pokesdown are designed to enable the children to take part in experiences that are different and exciting, as well as facilitating new experiences that they all can have together as a whole year group. The children build and develop relationships around the memories created on such trips; the trips also provide the opportunity for children from all walks of life to have the same memorable experiences as their friends. Across Key Stage 2 the children experience the thrill of stargazing at school, the awe and wonder of sleeping with sharks at Plymouth Aquarium, the exhilaration and challenge of abseiling and high ropes at Kingswood and the buzz of the theatre in the West End of London. The cost of each residential is looked at carefully by school staff, SLT and our LOtC/ EVC coordinator before further planning goes ahead. Estimated costs are conveyed to parents in good time in order to allow for preparation and savings to be made, with pupil premium funding used where necessary to support children from lower-income families. The overnight stay in the school hall is of a minimal cost. Children stay overnight for no cost with money only requested to cover dinner and breakfast costs. When the cost of a trip is expected to be significant, for example at Kingswood in Year 5, planning starts early while the children are in Year 4, deposits are collected and parents are given a long period to contribute monthly payments. Each residential is designed to be inclusive for all of the children in each cohort, with specific individual needs of the children taken into account before re-planning annual trips. Specific medical and learning needs are taken into account, with extra support staff utilised where necessary to facilitate enjoyment and maximum participation of the trips for every individual. SLT are consulted prior to each trip. They support with planning, costings and staffing arrangements. A member of SLT always accompanies staff on residential visits. Whilst residentials are taking place, members of SLT at school remain in daily contact with the staff accompanying the residential, providing support to staff members, and relaying any necessary information across to parents. SLT are responsible for our Facebook and Twitter pages and update frequently during the course of the residential, in order to keep parents and carers updated, while also to providing that extra bit of reassurance. SLT meet with accompanying staff members after residential visits and are a part of the essential evaluation process. They work with staff members to complete Evaluation Forms, update any risk assessments and begin planning for a repeat trip in the next academic year if necessary. Members of SLT always meet and greet at the beginning and end of residentials, to talk to children and parents. Integration is at the heart of the curriculum at Pokesdown. The creative curriculum allows for natural links to be made between curriculum areas and subjects. Residentials are planned in line with this creative ethos. The trip to Plymouth in Year 4 was designed specifically to address the objectives of the science curriculum, looking specifically at living things and their habitats. The trip enables the children to experience, first hand, the animals at the aquarium and the zoo. The experienced and knowledgeable zookeepers and aquarium staff provide education workshops for the group with our objectives in mind. The stargazing experience in Year 3 enhances the children’s work in their Space led topic. How are your residentials led by teachers? Members of the staff lead all residential experiences provided at Pokesdown. They have an excellent knowledge of the pupils in their classes by the time each residential takes place, and are best placed to identify and address the needs of each individual in their cohort, further ensuring that the trips are fully inclusive. The residentials in Years 3 and 6 are planned and delivered fully by school staff. In Year 4, the school staff lead the trip with support from experts at the aquarium and zoo. Children are involved in planning and organising each of the residential activities available throughout key stage 2 at Pokesdown in a variety of different ways. They are encouraged to take ownership of their own experiences during residentials through collaborative decision-making and independent challenges. At Kingswood the children work together beforehand to think about the range of activities on offer and state their preferences. Children must take into account the needs of others and incorporate any fears or phobias. 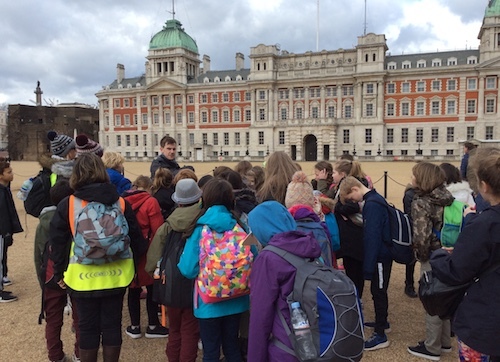 In London the children have the opportunity to choose from a range of different options available, with school staff being on hand to support decision making and provide supervision at chosen activities. In Year 4 the children are heavily involved with planning their visit in line with their topic – Attenborough’s Animals. They make decisions about which animals to study during their visit and plan their own time at the aquarium and zoo in order to best facilitate their own learning. Residential opportunities provide an alternative atmosphere where staff and children are able to develop and foster relationships with their peers based on shared experiences. This alternative shared space, differing so significantly from a classroom, provides the opportunity for relationships to take on a new aspect. The children enjoy the opportunity to see their teachers and school staff in a new light. 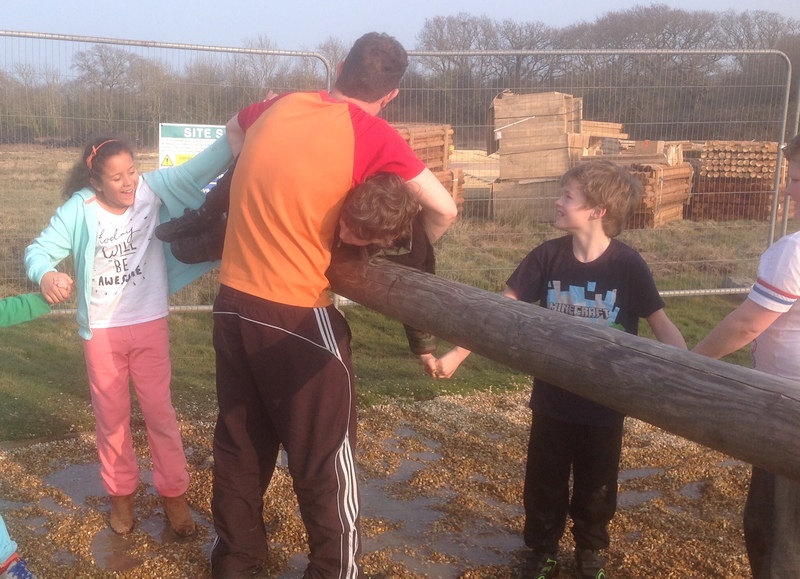 At Kingswood, staff and children work collaboratively through a range of physical challenges. They enjoy sharing exciting, challenging, exhilarating and often scary new experiences together. Eating meals together at breakfast, lunch and dinner fosters the environment for relaxed conversations not necessarily had in the school or classroom. A wider living space and less intense adult supervision allows children to develop the perception of a higher level of independence. This, in turn, can lead to the quick development of strong collaborative relationships between peers, where they rely on each other for emotional support. Learning objectives are explored prior to the planning of residential trips in order to ensure that they meet the requirements of the National Curriculum and the topics covered in school. Paper evaluations of all LOtC opportunities are completed by school staff on return to school, looking carefully at whether needs were met by the external provider and if not, how the trip could be altered for future similar experiences. These are then kept in year group folders and handed on to the subsequent year group teachers. This enables them to be used as a reference when planning a repeat trip. The children also explore and evaluate their own LOtC/ residential experiences on return to school in a variety of different ways. Various activities link with curriculum objectives whilst also exploring the more holistic benefits and emotional aspects to the trip. Across key stage 2 the activities include diary writing, newspaper reports, non-fiction information text writing, preparing assemblies, discussing the trip highlights and experiences with children from the lower year group and participating in circle times. Children’s responses are taken into account when the class teachers complete the paper evaluation. Learning is embedded on return to school through integrated curriculum project work. Children use their experiences to enhance writing work, and teachers plan for opportunities to exploit links between the curriculum and the residential. For example, Year 4 children make green screen movies using information that they learnt from their trip to Paignton Zoo and Plymouth Marine Aquarium. The trip came in the middle of their four week topic, meaning that the children had already begun to explore grouping and classifying animals and looking at their changing habitats. It gave them the opportunity to see animals in their habitats, and put their learning into context. Before leaving, the children each decided on an animal, which they wanted to study further. This gave the residential further focus for the children, as they were responsible for their own learning whilst being away. The children worked alongside their teacher to film the animals that they saw in order to use the footage as a backdrop for a green screen movie. On return, the children were tasked with writing an emotive speech, encouraging others to look after the changing habitat of their chosen animal. They read their speeches aloud in front of a green screen, and used real footage from the trip as a backdrop. Their final movie outcome linked their science and English learning together brilliantly. The experience really encouraged the children to write emotively about their chosen animal, whilst also being a fantastic opportunity to experience an overnight stay in somewhere spectacular.